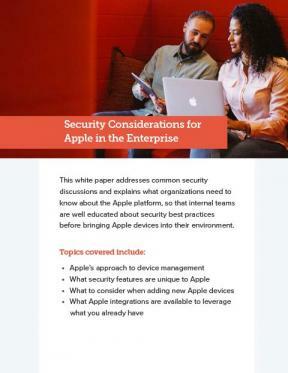 Apple devices, and Mac in particular, are growing in the enterprise and sure to be heading to your organization — if they are not there already. Maybe you’re a Windows shop that’s never had to support Apple or maybe your information security team is much more familiar with PC than Mac, either way, we’ve put together a list of security questions (with answers) that are sure to come up with your executives and information security team. Are you ready to discuss the ins and outs of Apple Push Notification Service (APNs)? How about the ways APNs might influence your security posture? Now, you will be. Download our white paper today to get prepared for your Apple security conversations of tomorrow.